All these frames are made from bamboo, which it just so happens, grows twice as fast as a tree and restores itself in just five years. It grows naturally, doesn't need any pesticide or fertilizer, thereby making it a sustainable and eco-friendly material. These glasses are actually made from the Mao Zhu species of bamboo, and just incase you were worried... it's not the type that pandas eat. 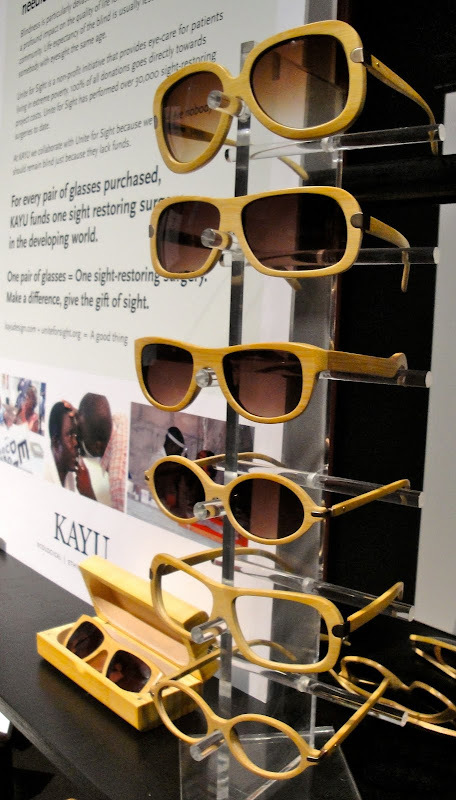 For every pair of glasses sold KAYU funds one sight restoring surgery in the developing world. Why? 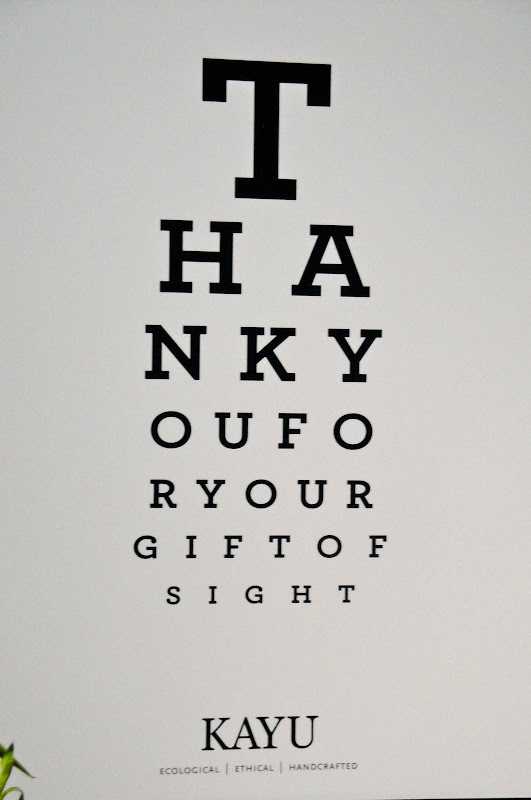 You might be wondering... well, it turns out that 80% of blindness in the world is curable or preventable and there are 36million people out there who are blind, who could be treated! Jamie Lim, the founder of KAYU, is trying to bridge the gap between technology and access - helping bring innovation and medical treatment to those who can't afford it themselves. Not only does the brand have a double-whammy of a mission (health & environment) they also produce incredibly stylish items. There aren't any massive obnoxious logos, just the little one on the inside you can see through the lenses. They have a variety of shapes and you can get them as prescriptions or as sunglasses. You can find out more about them on their website here. 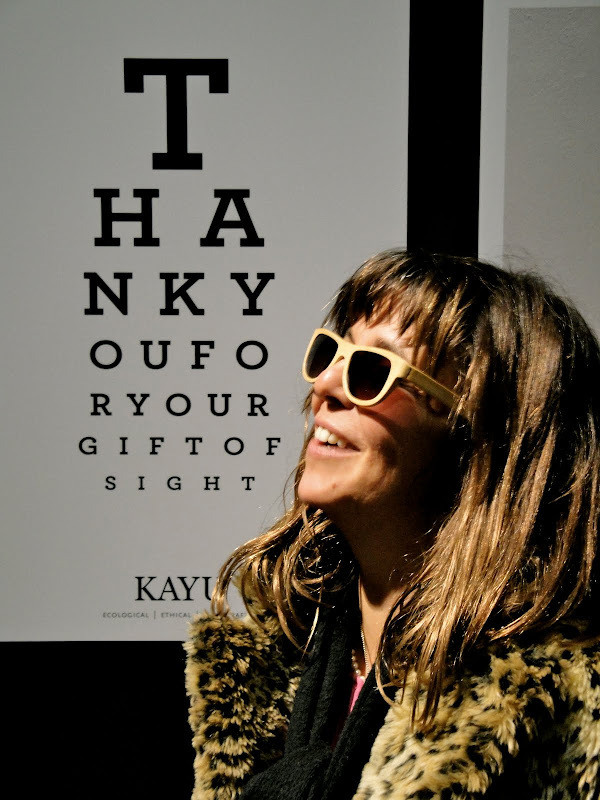 In case you are wondering, no, they haven't offered me a free pair or anything like that - I just really like the frames, the vision behind the brand, and was completely won over by how sweet and down to earth Jamie was. Jill modeling her favourite pair. *despite my annoyance at the amount of people that have wayfarers i do still love them, okay, i can't deny that.